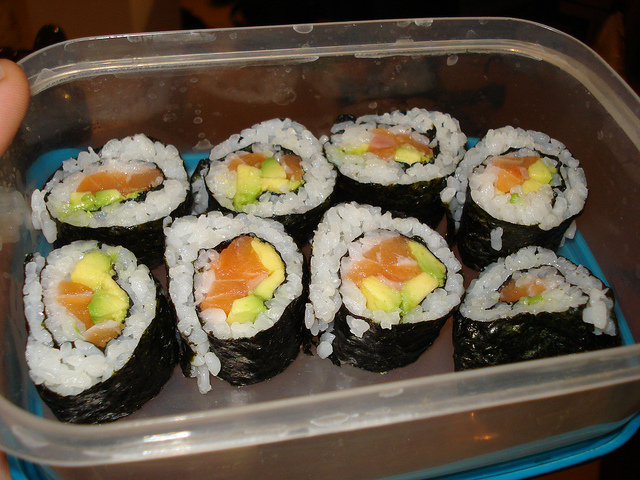 All you have to do with this one is take a bunch of delicious raw veggies and fruits, add a little bit of seafood or fish and then a little rice and wrap up the goodness in some nori. You probably should add a little ginger, wasabi and soy sauce, too, but look for low-sodium soy sauce and add everything in moderation. Not only is quinoa a superfood, but it's super easy and quick to make. The quinoa should take about 10–12 minutes to cook and then add some beans (I prefer black beans) and whatever toppers you have in your fridge. It's so good and it takes less than 20 minutes to prepare. 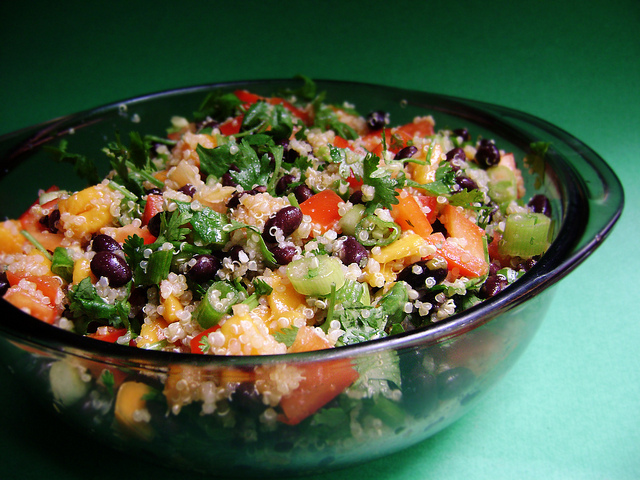 It's also packed with protein from both the quinoa and beans. This dish is a perfect way to start your day. Start by sautéing the mushrooms in olive oil and then add some spinach and the egg white. Scramble everything up and top with some raw tomatoes before serving. I like to add salsa or hot sauce to the scramble for a little extra zip to the dish. Shrimp are delicious but also very high in protein. 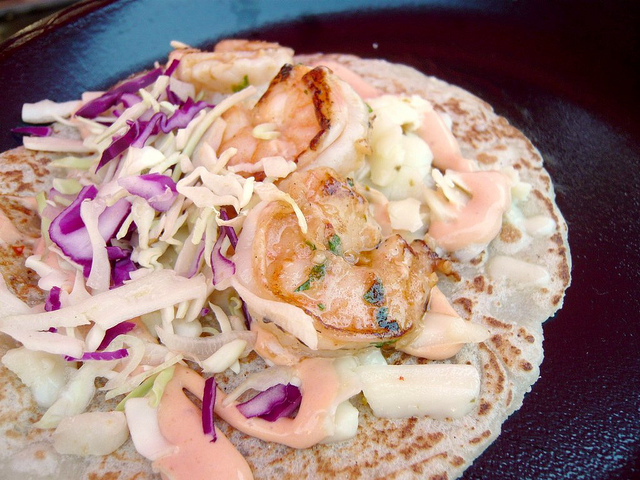 Each of these shrimp tacos has about five grams of protein to keep you going strong, all day long. 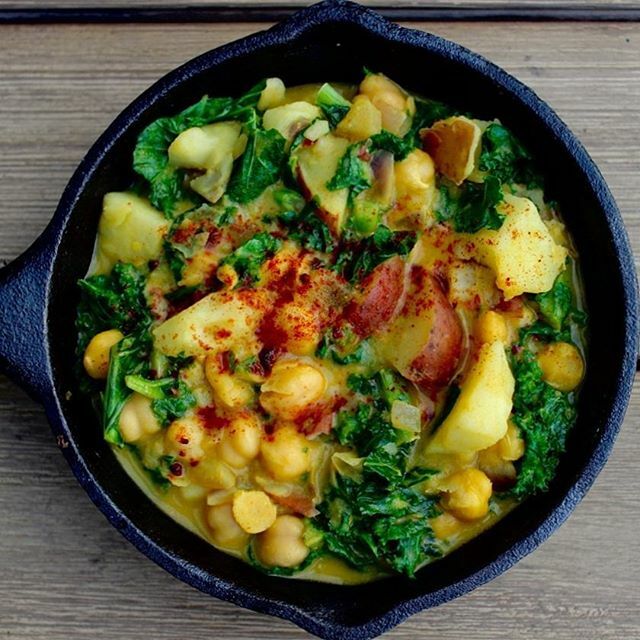 This dish is a perfect combination of a light protein with delicious veggies for balance. It's full of phytonutrients as well as potassium, fibre and omega-3s. 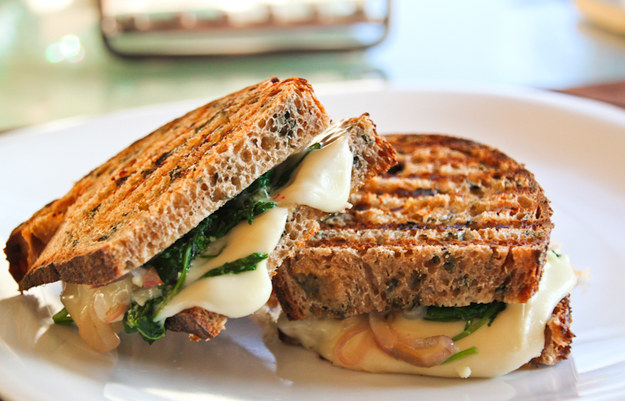 Garlic makes every dish better as far as I'm concerned, and this panini ends up being a fancy grilled cheese with some delicious vegetables to complement the cheese. This is the ultimate last-minute healthy dinner. 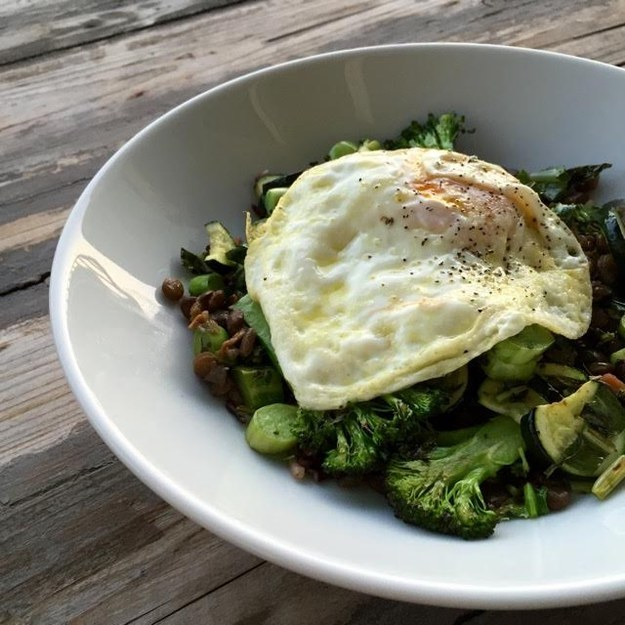 Steam or sauté up some veggies from your fridge, add some lentils or beans and top with an egg. So easy and quick! 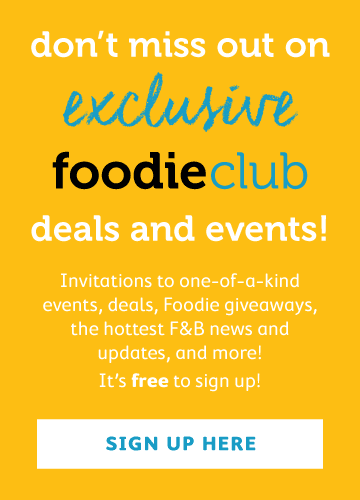 Chickpeas, hummus, salsa and quinoa are the only ingredients that you need! Use it as a salad topper too and add additional veggies or some cheese to crank it up a notch. This really is the ultimate nutritious dish. 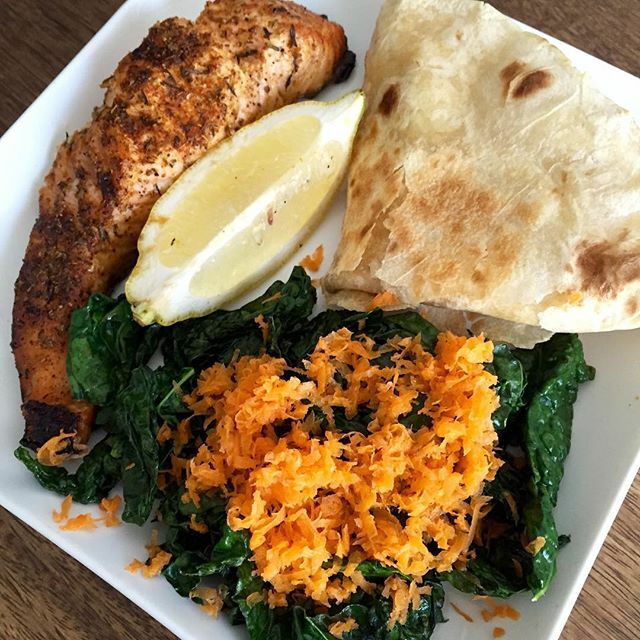 You've got the salmon, which provides good, healthy fats and protein, the spelt tortilla for a little energy boost and then you've got your dark, leafy greens with the kale. 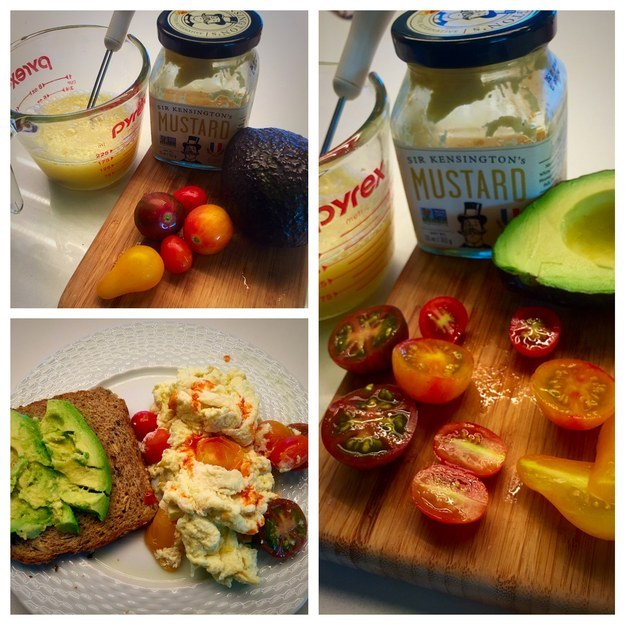 No other way should your day be started than with this meal. Egg? Good. Avocado? The best! Running late? 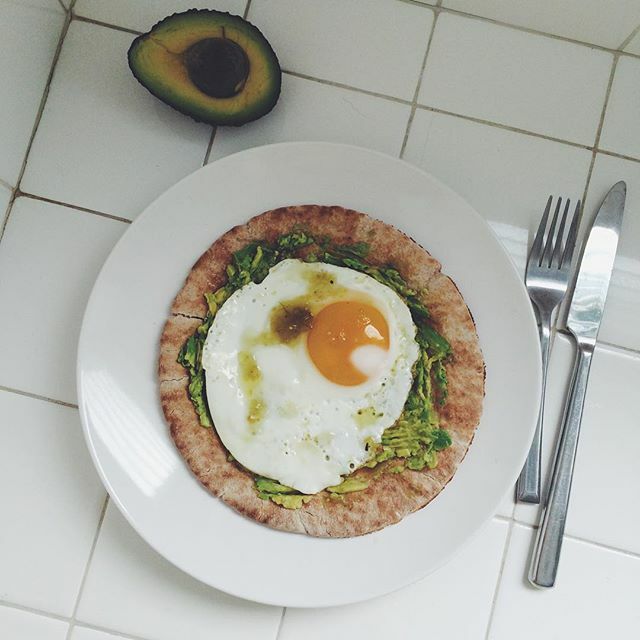 Use that tortilla to wrap up the goodness and you can head off! 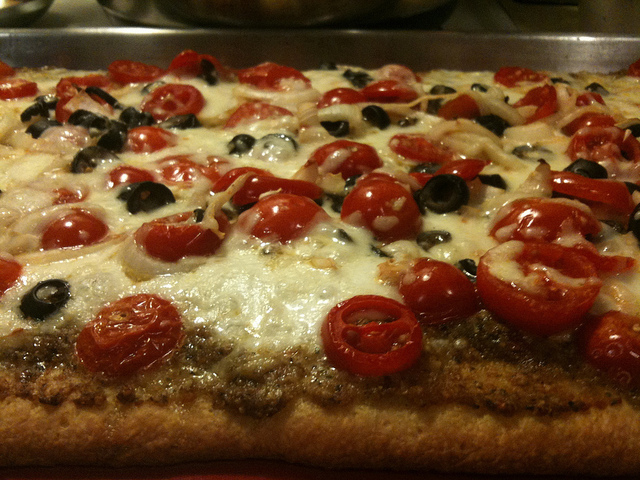 This is a quick recipe if you keep a few personal pizza crusts around. Just add some sauce, your favourite toppings and some cheese and 12–15 minutes later you'll be pleasantly surprised with the results. There are so many good nutrients in these muffins that you'll be surprised that even your kids will enjoy the taste of them. 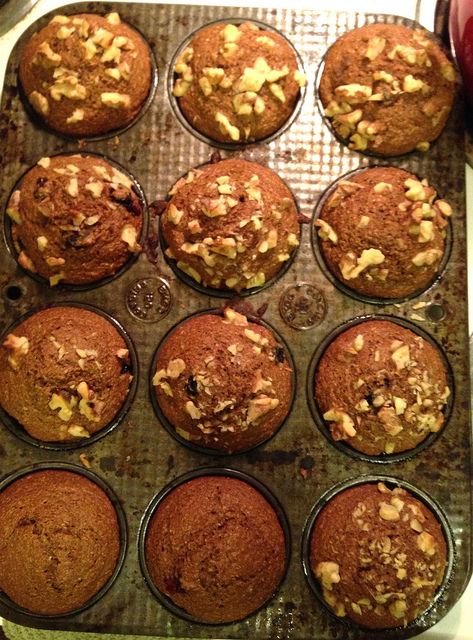 These ain't your grandma's bran muffins, that's for sure! This is a great take-to-work lunch where you can utilise the vegetables that you currently have and add a little tuna to get your protein fix. 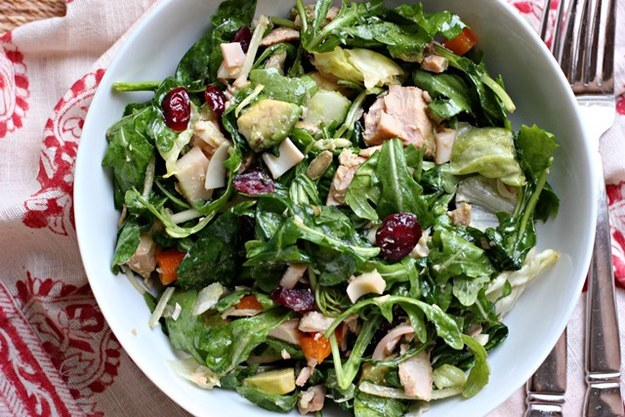 The warm cranberry dressing is to die for. 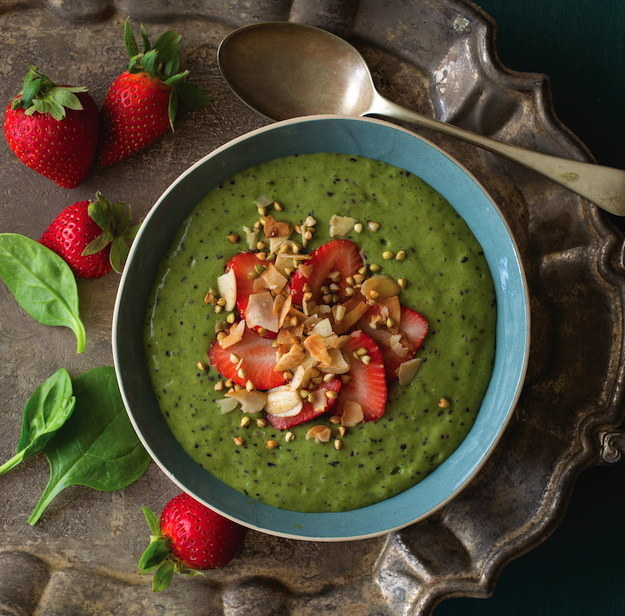 Smoothie bowl? I'm not too familiar with them, but I'm intrigued. 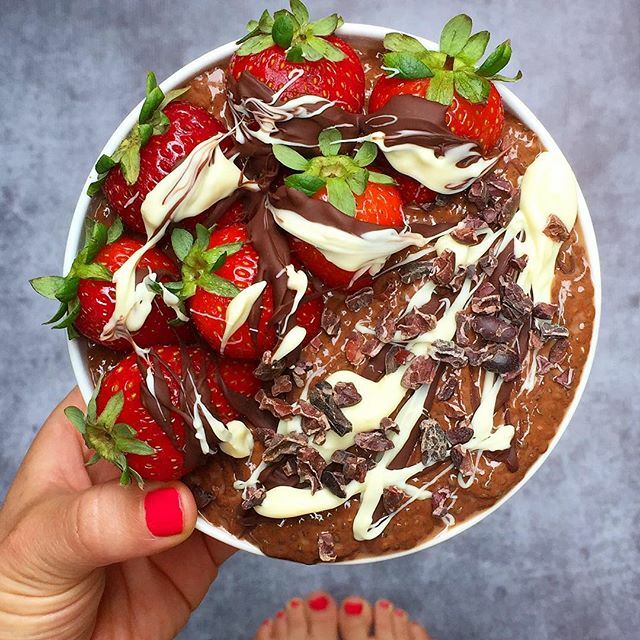 This recipe uses 1 frozen banana, 1 cup water, 1/2 cup blueberries, 3 large strawberries, 2 tsp chia seeds, 2 cups baby spinach and 2 tsp almond butter. Add all of these ingredients to a blender and mix until it's smooth. Top with berries and buckwheat groats. Not only are curries tasty and healthy, but they might actually help with brain-cell repair as well. 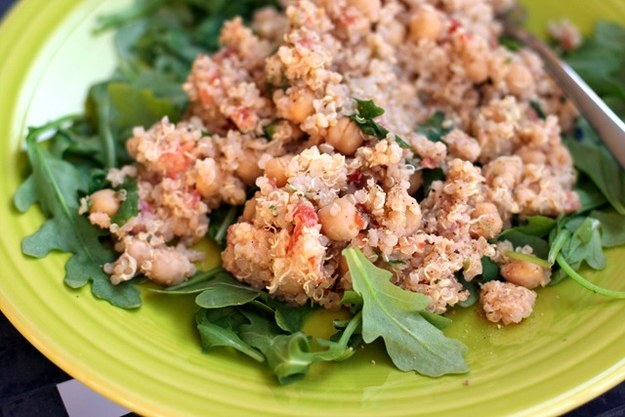 Add in some delicious, protein-packed chickpeas and you've got yourself a scrumptious meal. A really easy, healthy breakfast – all you need are thinly sliced pieces of banana, milk and oats. Mix them all together and you've got a meal that'll stick with you until lunch. 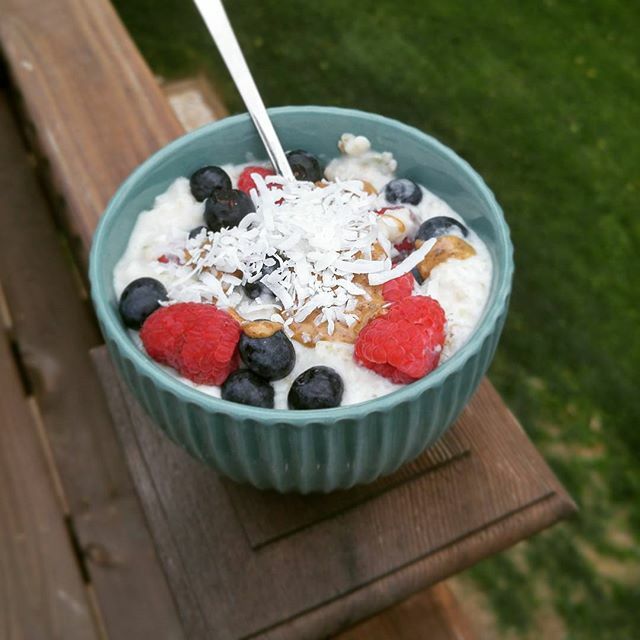 Oats are a great slow-releasing carbohydrate that will keep you full until your next meal. 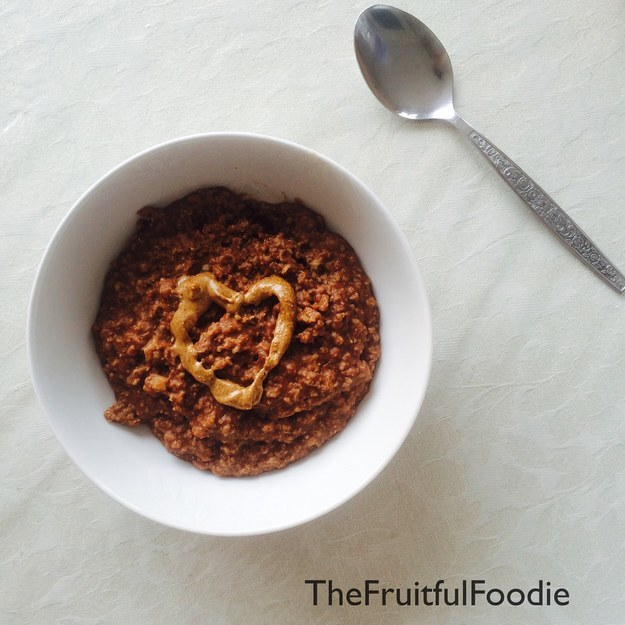 Almond butter is so healthy and the cinnamon makes the dish the perfect amount of sweet. Pan-fry the steak with a 1/2 cup water (for steam) for 3–5 minutes on each side (covered). 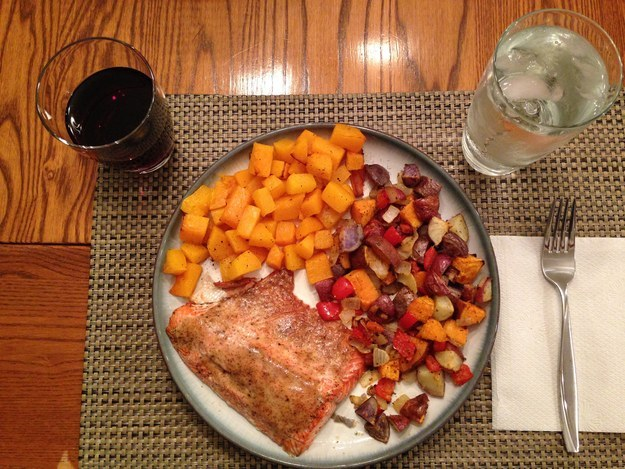 Cook the sweet potatoes in foil for 1 hour at 190°C. 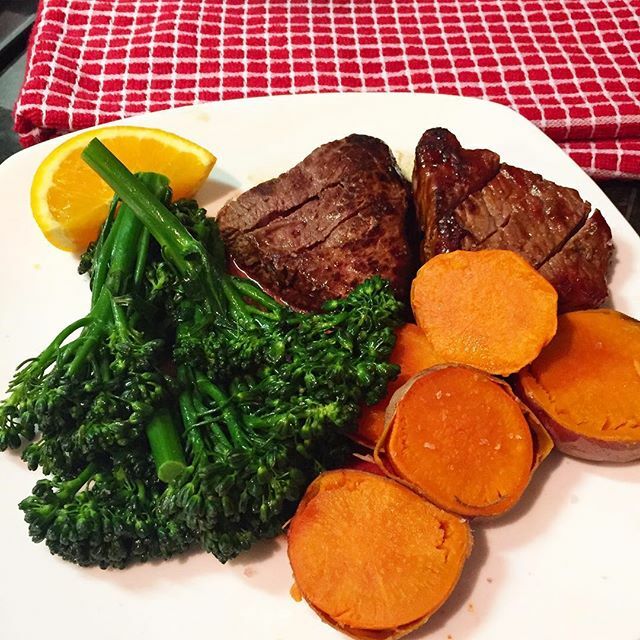 Sauté the broccoli in a mixture of 1 tsp olive oil and 1 cup water. This dish is one of the few ways that you can get away with eating chocolate for breakfast! The pudding is gluten free and vegan and it's full of protein and good fats. Eat chocolate for breakfast and feel alright about it with this pudding.